Stayed at MGM on June 29th & 30th. Went up to a young lady and slipped her my CC and ID with the $20 visible in between and asked her if there were any complimentary upgrades. She quickly smiled and said “No, I’m sorry.” She took my CC and ID, and gave me back my $20 saying “Here, this is yours.” So I’m pretty much embarassed at this point and just wait till she pulls up my room. She tells me she has a room with a view for me, so I thanked her and tipped her $5 for her effort anyways. The room had an OK view.. it was a view of the city area, not the strip.. so yea. But anyways..I’ll try it again next time! Arrived at the Vas Vegas airport on June 18th for 4 days at about 3 pm. Checked in at MGM Desk at the airport. Flashed my $20, and asked if he had any complimentary upgrades. The guy just smiled and nodded. Upgraded us from basic room to a Suite, with a strip view, and close to the elevator. I was traveling with two other couples, all three of us staying at MGM, and all got upgraded to Suites by the same clerk. All tipped him $20. I slipped the $20 under the credit card and got the 26th floor in a celebrity spa suite free of charge! We ended up paying the $59 for 1 night and $69 for the other 2 nights thanks to the SLM048 promo code. Overall, positive experience, but I think we will stay elsewhere from now on. Just got back from Vegas…..2 nites @ MGM, booked the 69 per nite deal (club players deal) with 25 food credit and 2 free bar drinks. Slipped the guy @ check in a 20 & asked if any upgrades were available, he smiled and said, “I like your style, I;m sure I can find you something.” We got a suite with a sitting room and huge bathroom, and wet bar. He acted like this was his first tip! Great room, great hotel, great time in Vegas. Saw the Fab Four show and “O”. Both WELL WORTH THE MONEY. 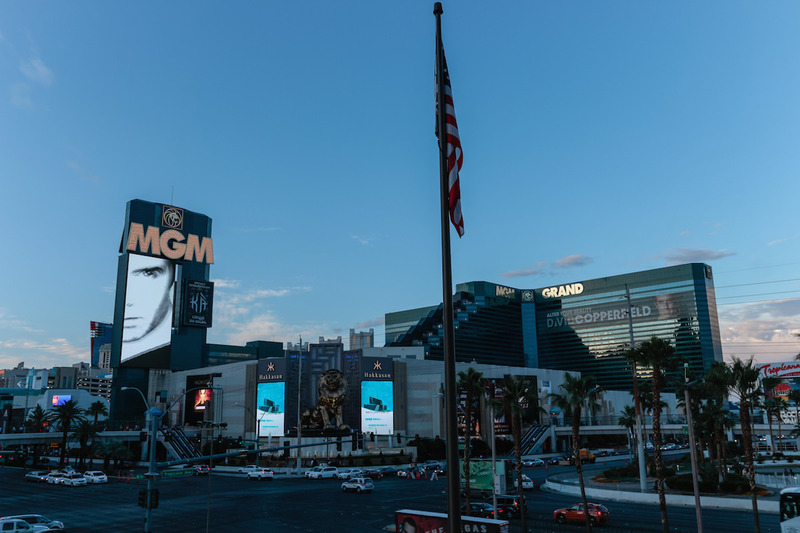 $20 trick worked for me, stayed at the MGM Grand from the 11th till the 17th of June (6 nights). Checked in at the airport, asked if there were any complimentary upgrades available with the $20 under the credit card showing on the table. Got upgrade to the Celebrity Spa Suite, which was about 3 times a big as a standard room with a huge bathroom. $20 was well worth it for the room. Just got back from the MGM with 2 other couples. I was able to upgrade to a Hollywood Suite with the $20 trick for $5/night ($20 trick plus $20 for the 4 nights)….not a bad deal to upgrade from a standard grand tower room. My brother in law tried too, was not having much luck (he was in line next to me) until he mentioned that my girl was putting me in a Hollywood Suite, and then my girl proceeded to help him find a room for my brother in law. He upgraded to a Marquee Suite for $40/night. Not sure how good a deal that was, but it was for 4 nights, and the room is usually $700-1200/night. The last couple checked in the following night, and with $20 were upgraded to a Hollywood Suite for just the $20. 3 for 3 at the MGM, not bad….it made a believer out of me. On 5/14/06 at MGM front desk was upgraded from a standard room ($60 promo rate)to a Celeb. Suite (jacuzzi) and strip view by using the $20 trick. Just returned from Vegas (5-8 to 5-12). Also we stayed at the MGM. As previously mentioned, I checked in at the Airport. Younger gentleman checked me in. I did the recommended saying with the $20.00, and he immediately placed my visa and the $20.00 bill on the computer keyboard. He then typed for a bit, turned around and grabbed what I perceived as a magazine, and asked me if the upgraded suite was acceptable. Tipped: $20 Upgraded to ? from ? Just worked for my friend at the MGM Grand. He checked in the airport around noon and “hid” the $ 20 under the credit card! Just got to Vegas today – staying at the Mirage for 3 nights at $129, $129, and $99 with FatWallet’s help(the rack rate for a standard room is $250! When we arrived, before I gave her the $20 tip under the card, I asked if there were any open rooms upstairs (suites). She said they were totally sold out – so I didn’t give the $20 tip. She then told me that they didn’t have any more of the rooms that I had booked (King bed – non-smoking). She offered a king/smoking or 2 doubles/non-smoking. I told her the king/smoking. On the way to the room, I put my $20 on black on roulette, and lost it. She gave us a room at the way end of the hall on the 6th floor with no view! Worst of all – it was the room with 2 doubles/non-smoking, not the king/smoking. I went back to front desk, slipped the lady a $20 this time under my ID while I told her what happened. Like a pro, she quickly slipped the corner of the bill above the ID to see how much it was, then placed the card and bill next to her on the counter with the ID totally covering the bill. I asked if there was anything left upstairs – very quickly she said she would put us in a “tower suite” at no extra charge – but she did note that this new room should be $100 per night extra. We got a larger room with a much larger bathroom (jacuzzi, shower with seat, 2 sinks, makeup table) all in a suite on the 24th floor overlooking the strip! This is trully the land of tipping!